Start holes for drilling using these spot drills, also known as hole-starting drill bits or spotting drills, to help prevent drill bits from walking, or moving, when starting to drill. These short stub-length drill bits have a rigid shank that helps ensure the starter hole is accurate and has clean sides. For best results, choose a spot drill that has a wider angle than the drill bit that will be used to drill the hole. 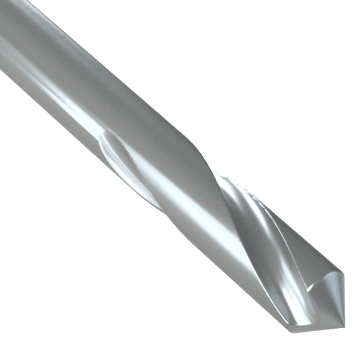 The most common choice for a wide range of drilling applications, use these high speed steel spot drills in a variety of materials, including steel, wood, plastic, and nonferrous metals. 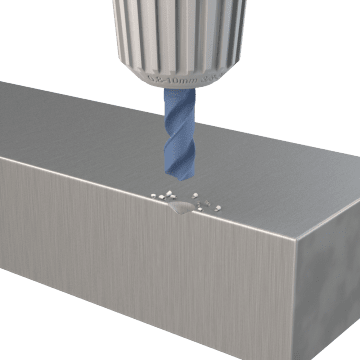 A good choice for demanding drilling applications, cobalt steel spot drills provide more wear resistance at higher speeds than high speed steel spot drills. They are suitable for drilling into hard materials such as heat-treated steels, stainless steel, and titanium alloys. 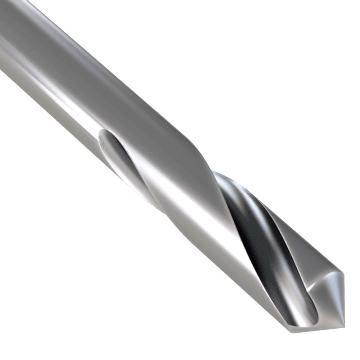 Solid carbide spot drills provide good wear resistance when drilling into the toughest materials, such as cast iron, nonferrous alloys, and glass, but they require rigid tool setups because they are brittle.